Its one of the few things I look forward to checking out in any supermarket when I travel. And from all the countries I've been to, the best puddings were found (and tasted) in Spain! 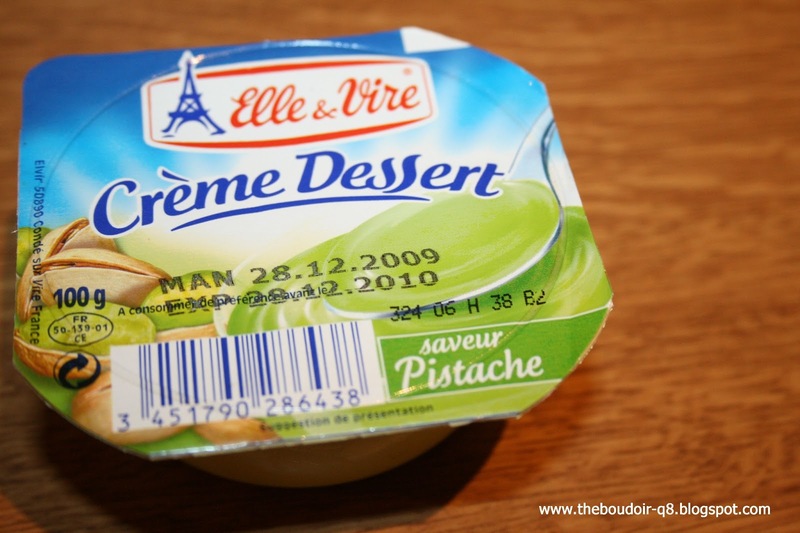 It is the country of creme caramel, chocolate mousse, danone strawberry yoghurt, vanilla, and chocolate pudding. Simply the best. I rush to the cold fridges aisle in the supermarket, collecting many kinds of puddings as I could, new ones to test, others tested and loved. In Kuwait though, you can never find a good selection. I still tend to rush to the pudding aisle here and am always disappointed to find 3-4 brands that are not even that good. So I make do with anything available. 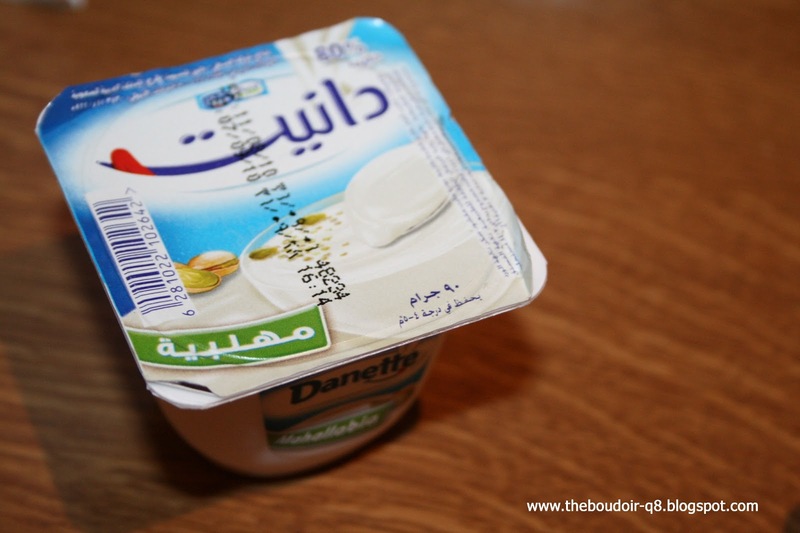 I like Danait and am content with KDD's fruit yogurts. So the other day, I tried some new stuff I found in the co-op. And they weren't bad at all. Why I chose the particular flavors? Its al about the Ramadhan spirit! I suddenly crave anything originated in the Arab world, rose waterish, mistika, nuts, and spiced! Danait's Mahalabiya and Elle & Vire's pistachio pudding. I have to warn you though, I ate both after a full stomache, one after the other, and had an unpleasant feeling in my stomach! Felt sick. But do not fret, it has nothing to do with the puddings. It was probably my dietitian's doing, actually mine, of going against my regimen and diving hard into such delicacies! Elle + Vire is my favorite!